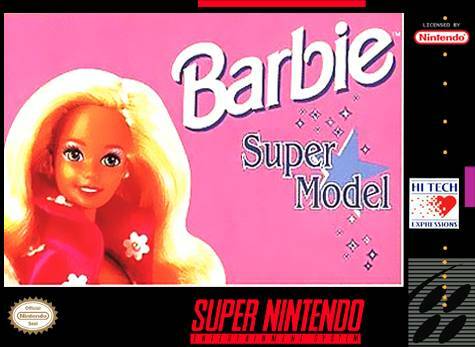 Barbie Super Model for Super Nintendo requires you to help Barbie become a world famous super model. Travel cities around the United States as she reaches her ultimate goal. Play mini-games like how to dress, apply makeup, and even move on the catwalk.